Easily integrate document conversion functionality into your application. PrizmDoc's conversion API gives you the ability to easily convert MS Word files such as DOC, DOT, DOCX, DOCM, DOTX, and DOTM into PDF, TIFF, PNG, JPEG, and SVG formats. While there are countless practical applications for our Word to PDF API, one primary use case is providing end users with the ability to securely share and distribute content—such as a business plan or contract—in an unalterable format. You can also use PrizmDoc to convert other file formats within your application. Learn more about how the API can convert Excel to PDF, DWG to PDF, and more. 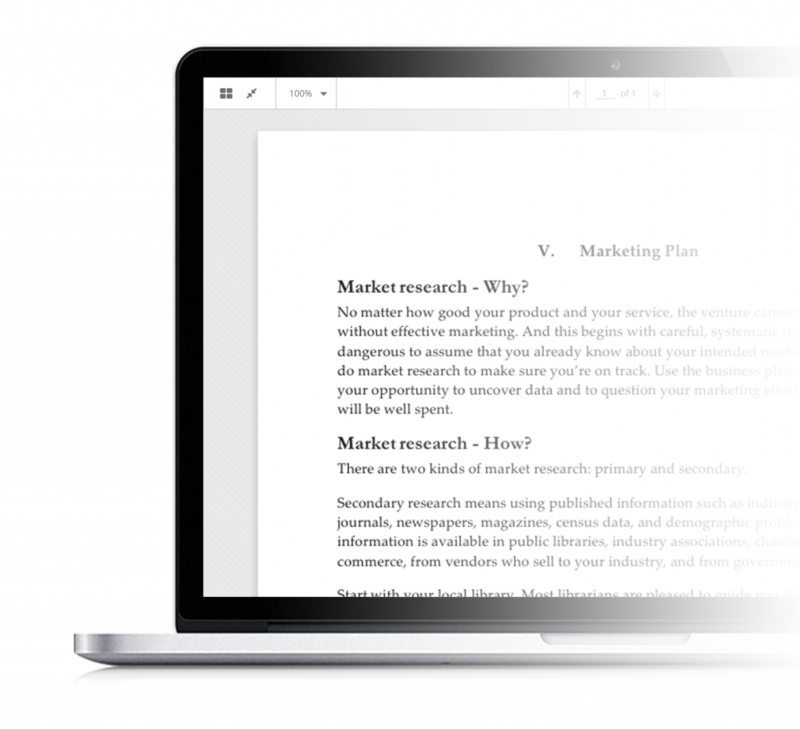 PrizmDoc converts Word documents with precision, retaining the same look and pagination as a document displayed or printed from Microsoft Word. Fonts, paragraph formatting, embedded images, and charts are all preserved to produce a highly accurate representation of the original Word document. PDFs are created with font-based characters to enable high-quality printing, as opposed to just rendering image-based PDFs.